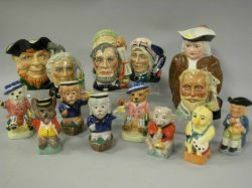 Fifteen Kevin Francis and Other Assorted Ceramic Toby Jugs. 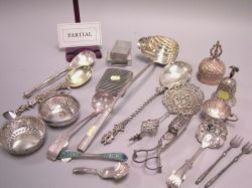 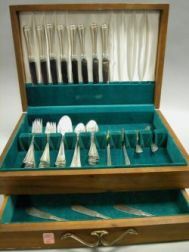 Forty-one Pieces of Sterling and Plated Flatware, Tableware and Miscellaneous Items. 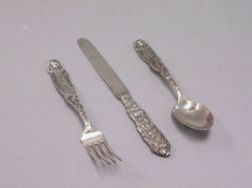 Tiffany & Co. Three-Piece Sterling Silver Childs Flatware Set. William Francis (Frank) Verbeck (American, 1858-1933) Pulling the Boat Ashore/An Illustration from The Little Cat Who Journeyed to St.